Aaron Doherty is an Agile Product Owner with Roomex. He’s a product manager in both name and nature - even when he’s not on the clock, he’s likely to be reading and thinking about Product Management. However, when he’s able to fully disengage about work, Aaron can be found plucking the strings of his guitar or hiking in far off hills such as in Peru or Madeira. He is soon to relocate to County Wicklow with his wife, where they are buying a house. However, Dublin has a special place in his heart - he loves music, going to gigs, festivals and partaking in all the culture on offer in the capital. How would you describe to the uninitiated the complex industry you're in? I have always had a very strong interest in computers even from when I was very young. I started my university degree at 17 and then took the opportunity to work with a local authority. During my time there I completed a Masters in Computing Science and thankfully that has opened many doors for me, including Roomex. 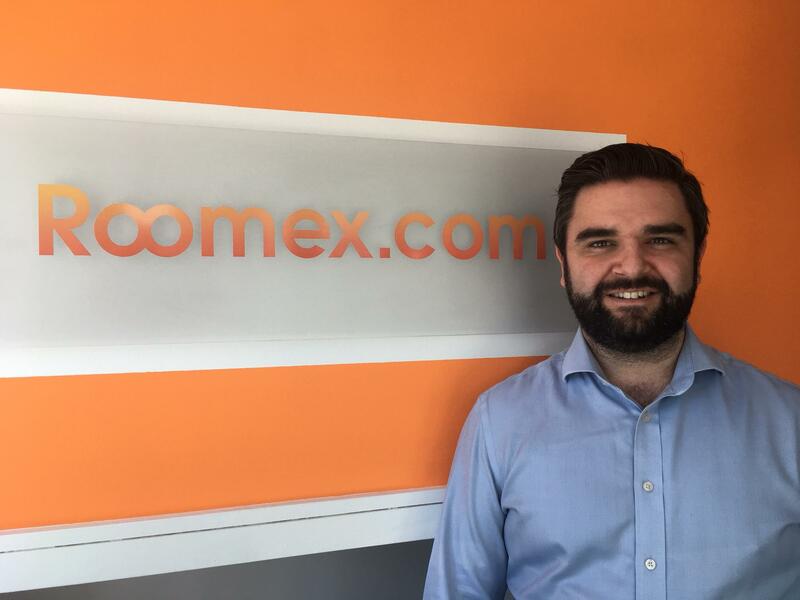 I found Roomex was working in the corporate space in an area of the market which was very appealing, and so was happy to take the role when it was offered to me as the high-growth environment was something that appealed to me. You’ve been there since November 2017. What would you say is the most exciting product or project that you’ve managed for Roomex? How do you see your projects and your role developing over the next 12 to 18 months? Who are your competition - who is challenging you the most? Travel is one of the most competitive industries in the world and there are a myriad of ways in which individuals and companies can book work-related hotel stays. Roomex has been able to stand out and grow exponentially because we leverage technology to make efficiencies throughout the process. This means that we don’t have an expensive fee based model similar to large Travel Management Companies which have dominated the travel space for years. However, we do offer a level of corporate service that companies using the well-known Online Travel Agents do not get, our benchmarking, visibility, control, live-reporting and Duty of Care sets us apart there. So in a very competitive market we have managed to find a way to be competitive and to disrupt a very established industry. And what do you think is the most rewarding thing about the work you're doing?